The Chimera 2' x 2.5' Video Pro Plus 1 Softbox connects to an included speedring via rods and the modifier is then connected to a flash/strobe for light shaping, though it is designed specifically to be paired with the 650W Fresnel (not included). This softbox can withstand heat up to 1000 watts from continuous lighting and may be used with strobes of any watt-seconds rating. Its size keeps it portable and is ideal for shooting in small spaces. 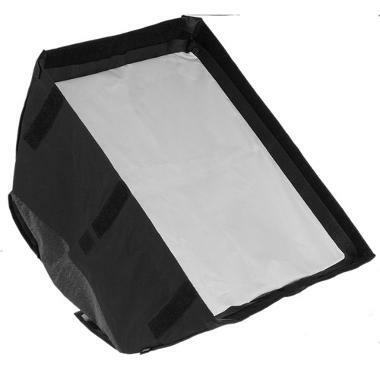 • The Chimera softbox rods that come with this softbox are thicker than average rods and designed for the ARRI speedring (included) for the 650W Fresnel (not included). However, many have used this softbox with other speedring types – experiment at your own risk.